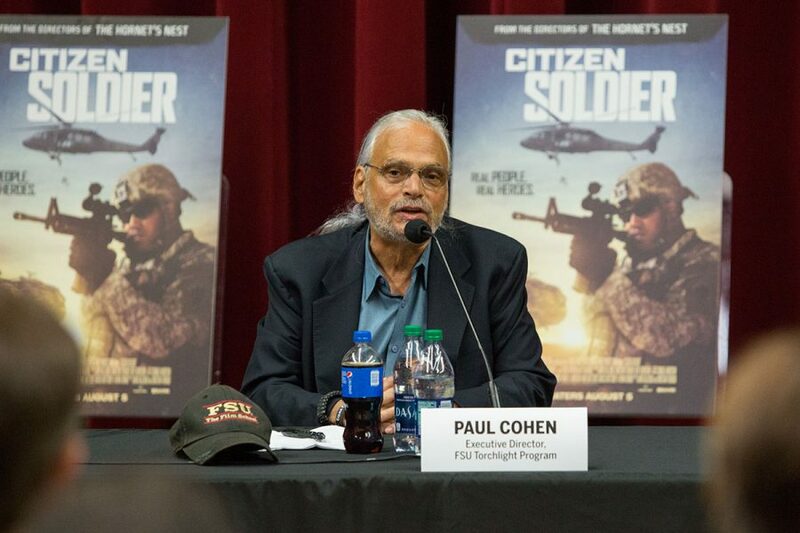 Filmmakers David Salzberg and Christian Tureaud shined a light on the expanded role of the National Guard during the post-9/11 era in their critically acclaimed documentary “Citizen Soldier” at the sixth annual Florida State University Student Veteran Film Festival Saturday afternoon. 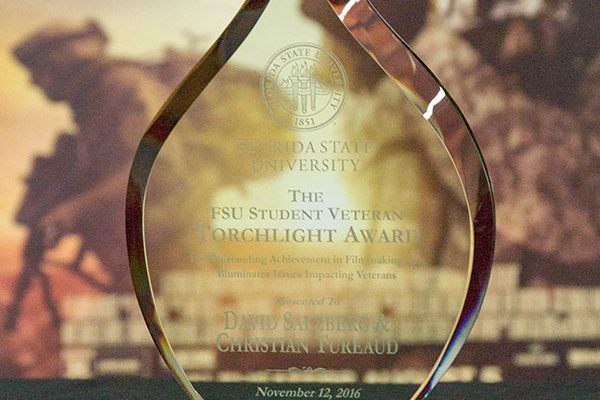 The co-directors received the FSU Student Veteran Torchlight Award for Outstanding Achievement in Filmmaking before screening their film at Florida State University’s Ruby Diamond Concert Hall. 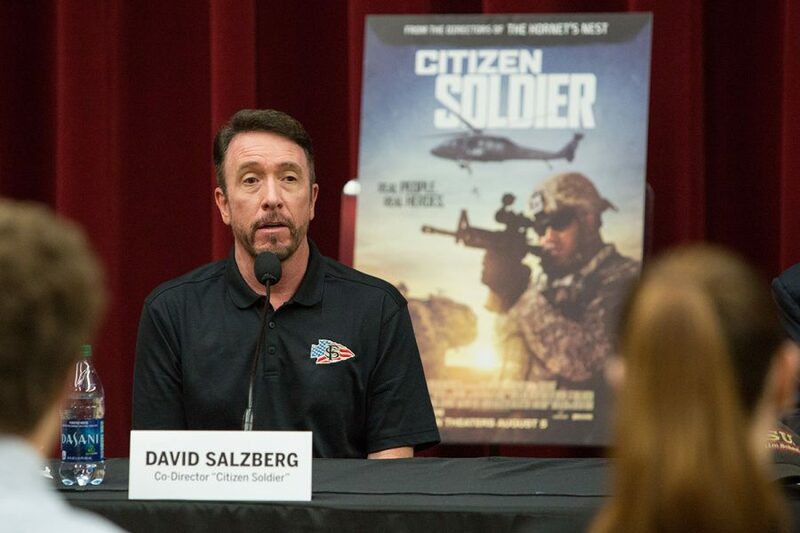 The film tells the dramatic story of the Oklahoma Army National Guard’s 45th Thunderbirds Brigade and its deployment to one of the most dangerous parts of Afghanistan during the height of the war. Today, The U.S. military is relying on the National Guard more than ever — about 50 percent of the nation’s citizen soldiers have combat experience. Guard units have served all over the world — and many times over in Iraq and Afghanistan. A majority of the footage for Salzberg and Tureaud’s film came directly from the cameras of 45th Thunderbirds Brigade members. 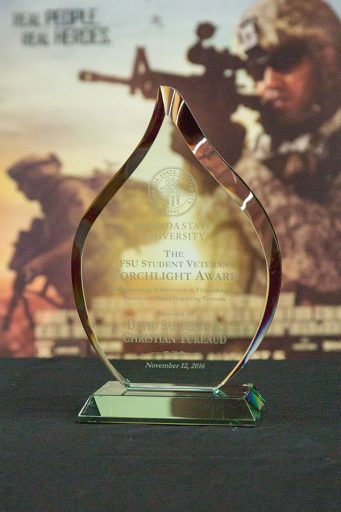 Florida State is donating Torchlight Awards to the National Guard Association of the United States in Washington, D.C., and to the Oklahoma National Guard museum in recognition of the Guard members who contributed to the film. 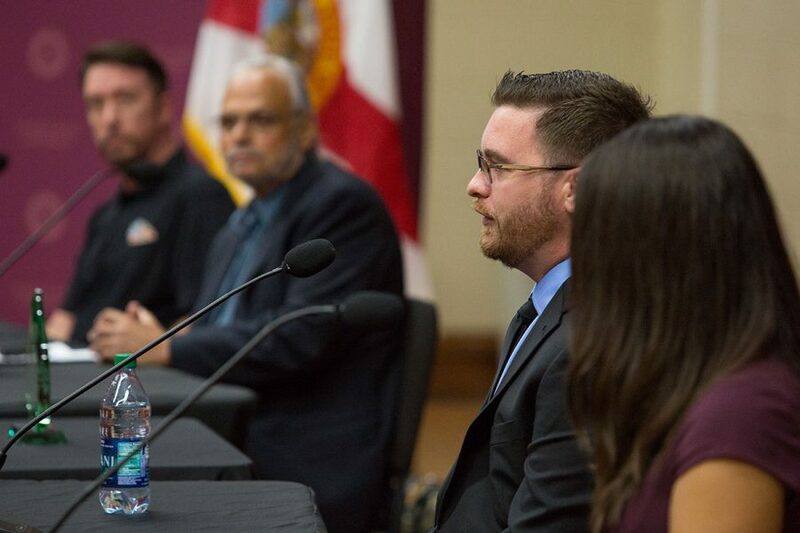 The festival is a one-of-a-kind event with a mission to raise awareness of student-veterans’ issues and bridge the gap between veterans and the community. Each of the festival’s first five films has been nominated for numerous awards, including Academy Awards. The previous marquee films were “Hell and Back Again” (2011); “The Invisible War” (2012); “Which Way is the Front Line from Here? The Life and Time of Tim Hetherington” (2013); “Last Days in Vietnam” (2014); and “The Hornet’s Nest” (2015). 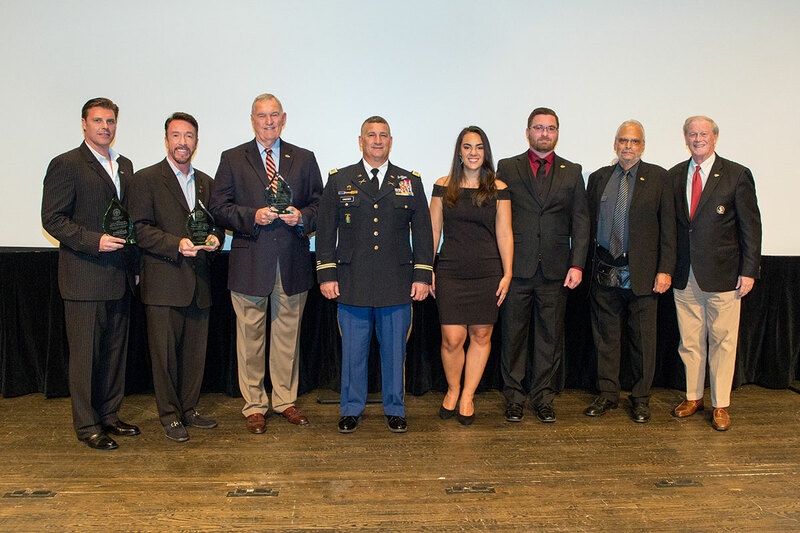 The Student Veteran Film Festival is presented by the FSU Collegiate Veterans Association, Veterans Student Union, Student Veterans Center, Interfraternity Council, Panhellenic Association, Student Government Association and the College of Motion Picture Arts. 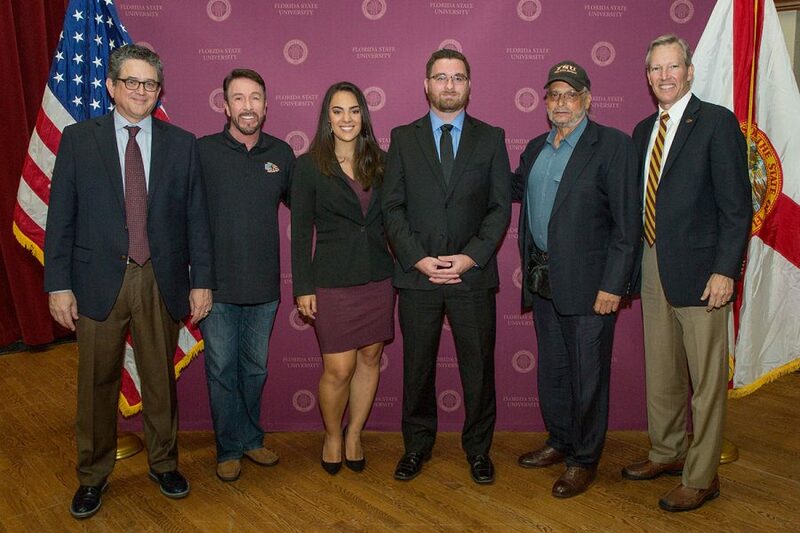 Frank Patterson, dean of the College of Motion Picture Arts; David Salzberg, co-director of “Citizen Soldier”; Erica Menendez, director, Veteran Student Union; Vince Williams, president, Collegiate Veterans Association; Paul Cohen, executive director, Torchlight Program; Billy Francis, director, Student Veteran Center at the Student Veteran Film Festival media availability, Nov. 10, 2016. Vince Williams (right), president, Collegiate Veterans Association. Paul Cohen, executive director, Torchlight Program. 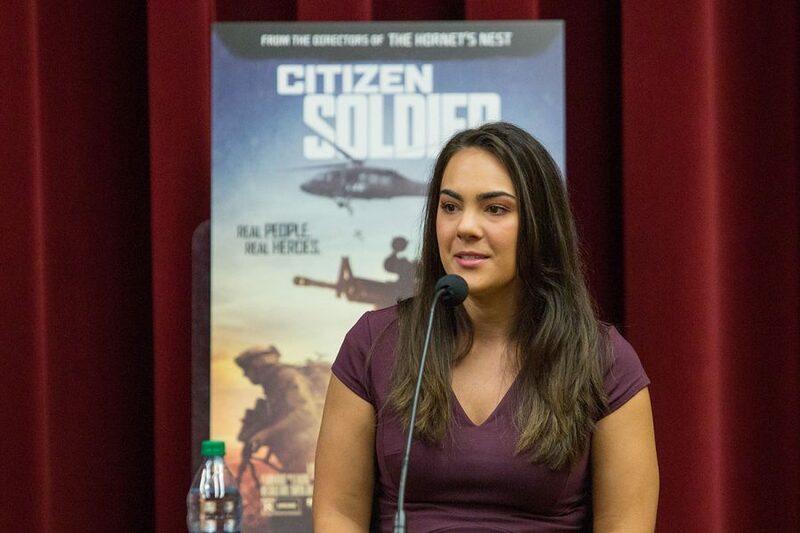 Erica Menendez, director, Veteran Student Union.